1. Grace is big enough to nestle in between the tiniest of comforting words. 2. I like Winnie the Pooh more than an almost 40 year old should. My kids don’t like the bear with no pants enough. 3. I have an inordinate amount of anger towards spammers. And it looks kinda like this. 4. Beauty is medicine for a weary soul. 5. There are three men in the library that I’m in. They look like they could credibly play a serial killer in one of those crappy network dramas…CSI: Vestavia. 6. Last night I had dinner with my wife’s cousin. He’s a firefighter. I told him how to better do his job, you know… how you might be tempted to tell your pastor to do his. 7. When you begin to doubt if God is good, remember bacon. 8. 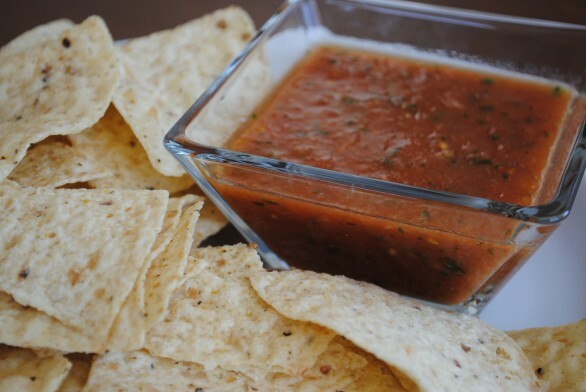 One of the great mysteries of the Universe is why every mexican restaurant has thin salsa everybody loves but every “Restaurant Style” offered in grocery stores is thick and chunky. C’mon Obama, get on that problem! 9. Just kidding about #6, I actually just looked at him in awe. 2. I don't know if the planets have aligned or if maybe they've come out of alignment, but just as I was getting used to disagreeing with you, things like this keep happening.5. Was one of them you?8. This kind of makes me think about how Coca-Cola can't figure out what their serving size is. If you look on a 20 oz bottle, it says "serving size: 8 oz, servings per container: 2.5", but if you look on a 12 oz can, it says "serving size: 1 can, servings per container: 1". Well is it 8 oz or 12, COKE! ?